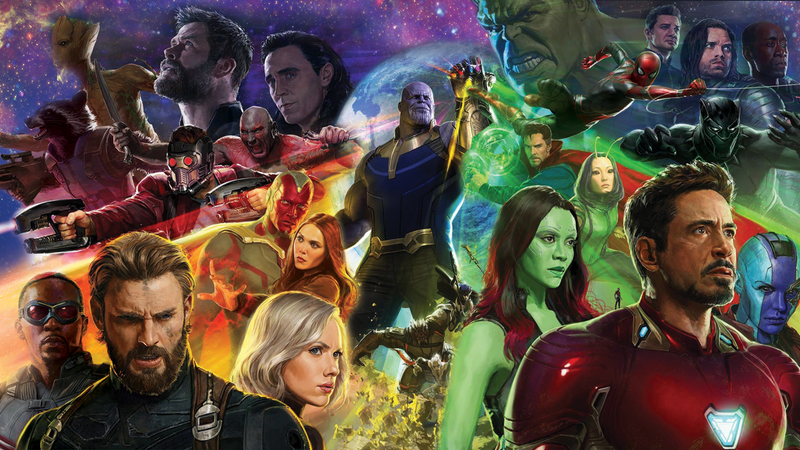 With Avengers: Infinity War mere months away, after having spent the better part of a decade setting up the film(s) I thought now would be the perfect time to look back at all that came before. One of my first articles written here was a retrospective on Phase Two of the MCU, so I thought I would try something different and a bit more direct. A pure ranking list of all the films from Iron Man to Thor: Ragnarok. Note: Please remember this is a subjective exercise, if you disagree please do so calmly and state your case. I am aware some of my picks will be a little strange for some of you and that is the point. The low point of the series is its second outing and also its most forgettable film. So much so, it feels at times as if Marvel Studios themselves have forgotten it existed. The film is so low on this list for one simple reason, it feels tangential to everything that came after. Even the other films in this tier at least felt important in building towards something, The Incredible Hulk just did not do that. It also doesn’t help the film it has one of the worst villains in a series that has a bad villain problem. Continuing on with forgettable films from the early days of the MCU comes Robert Downey Jr’s setting outing as Iron Man. In many ways Iron Man 2 has the opposite issue that The Incredible Hulk did, it tried to do too much and in the process it lost itself. I would make the argument from a film making perspective it is the weakest of Marvels films even. The only thing that keeps it from the lowest spot is trying and sometimes failing to do too much is better then doing almost nothing at all. The next few entries on our list were a real pain to place and quite frankly could be raised higher and lower depending on the day. However Thor: The Dark World got the brunt of this being so easily compared to its far superior sequel. However Thor: The Dark World would be low even without Ragnarok as quite frankly the film was rather boring. Much like many MCU films the villain was a non-entity, the plot was insignificant in the grand scheme of things, and most damning it was boring. This was due to the fact with the exception of Loki most of the characters in the film just were not very well developed and the chemistry of the two leads were lacking in this outing. All around Thor: The Dark World is mostly remembered for introducing an Infinity Stone and not much else. See everything I wrote about The Dark World above? Well you could make many of the same comments towards the original Thor. Since Ragnarok it is clear Marvel did not know who it wanted Thor to be and this film showed it. Although the film has a strong narrative arc of our heroes fall and redemption, including I would argue one of the better starts for an origin film. It falls apart near the end moving too quickly to find a resolution. In fact its clearest triumph and one that would be unique in the MCU for many years was an interesting and compelling villain in Loki. Who, played to perfection by Tom Hiddleston, is far more complex then the film in which he is featured. This is a strange one for me to be honest. I personally enjoy Avengers: Age of Ultron in fact coming out of the theater I really really liked this film. However upon further viewing of the film I have come to see it in a less then positive light, which will be a theme going forward with this list. Age of Ultron to be quite frank is a mess of a film. Forced to do far too much in too short a time to really do anything right. While it did not fail quite as badly in its juggling act as Iron Man 2, the films bloated second act was just unforgivable in a film that was supposed to be the cumulation of what came prior. In many ways the films sharp tongue, impressive action, and impeccably cast villain hides the films many issues. Ant-Man is a fun movie and it is a pretty good heist film. However it is also basically a remake of the first Iron Man. It is also almost completely unnecessary in every way, in fact if you plucked Ant-Man out of the continuity of the MCU it would have very little effect one way or the other. For a cinematic universe that prides itself on interconnections Ant-Man just does not deliver. That being said Ant-Man despite it being as formulaic and by the book as it is; the films cast led by Paul Rudd is great and at its core its fun. I know I will likely get flack for putting this film so high on the list and in this tier as Iron Man 3 is quite divisive. However I found it to be a very thoughtful movie and despite its plot holes very enjoyable on the rewatch. Fundamentally at its core it is a story about the consequences of being a hero, an issue that is not much explored elsewhere. Tony Starks obvious post traumatic stress disorder brought about by his time in New York during The Avengers is the central force driving the film. This makes it a more inward character driven narrative then the externally driven one we normally see in these types of films. As such for myself I can overlook one of the weakest villains in the entire franchise and the horrible deus ex machina ending as fundamentally I did enjoy Tony’s journey through the film. Even if the next Avengers completely undid all this character growth. The First Avenger was the first Marvel film that proved Marvel could break out of the shackles of the “Super Hero” genre. As Captain America is as much a war film as much as it is a super hero film. Unfortunately while it wears both its hats well, it does not standout otherwise. Like Ant-Man later, The First Avenger is largely carried by its cast and their interactions. Especially the relationship between Steve Rogers and his love interest Agent Carter played by Haley Atwell, a performance so well done it would spin off one of ABCs best Marvel TV series in Agent Carter. However the film is held down by a lackluster villain played by Hugo Weaving and a finale that while required lacked the emotional punch it should have had. Ant-Man Doctor Strange is a fun movie and it is a pretty good heist fantasy film. However it is also basically a remake of the first Iron Man. Furthermore with a near perfect blending of actor and role with Benedict Cumberbatch as Dr. Steven Strange himself, the film has a lot working for it and walking out of the theatre I enjoyed it quite a bit. However having rewatched it, the film suffers from a lot of the problems of other origin films. Namely, setting up the character of Doctor Strange can be monotonous for a second viewing that hinders the flow of the film. Furthermore outside of the IMAX 3D Theater the mind bending effects lose some of their edge. Doctor Strange is a technically brilliant film but it loses a bit too much on subsequent viewings to bring it higher on our list. I will say this straight up, I love Spider-Man he is my favorite hero, I even enjoyed Sony’s Amazing Spider-Man series of films. This coupled with the fact I think Tom Holland did a wonderful job depicting a more youthful Peter Parker/Spider-Man the film really hit all the right notes for me. Furthermore, the film was genuinely funny and was a good time to be had at the theater. Honestly there was no real glaring flaws with this film. It is just with so many Spider-Men the character is a little played out and even some of the Marvel magic can’t give it back its full luster. Honestly it is that played out feeling keeping it from reaching the next Tier of our list. As I walked out of Captain America: Civil War I thought it was the best thing since sliced bread. Even today I still consider the airport fight scene one of the best action sequences put to film, ever. It was that good and I can watch it over and over again. In fact there was so many memorable scenes in the movie there could be a list for just that. I am totally cheating here and you know what I kind of feel like its fitting for Guardians of the Galaxy so its a tie. I honestly can’t decide which of these films are better and since it is a matter of Top Five or not well BOTH are in the Top Five! For ranking purists I apologize but I really couldn’t decide, I love both these films to death. Interesting both the films have the same strengths and weakness. They’re wickedly funny, full of amazing action, surprisingly emotional (Vol. 2 gets a slight edge on this one), are stand alone films, and eminently rewatchable. Unfortunately they both have some of the most lackluster villains in the entire franchise and plodding second acts that drags on for a bit too long. However these weakness are far out weighed by their strengths. I won’t write too much about Ragnarok as it is still in theaters but it was easily the best MCU and second best super hero film I saw this year. It is also likely one of the funniest films I have seen in a while. Furthermore as you can see from my low rankings of his prior films I wasn’t really a Thor fan. Mostly as it feels like Marvel did not really know what to do with the character, which has now changed. Thor finally seems complete. Throw in an engaging an actually intimidating villain and you have the makings of a great film. The films provisional status comes merely from its time in the wild. As you can see many of the films on this list started high and fell down upon further review, I have not had a chance of doing this with Ragnarok. Still Ragnarok is a great addition to the Marvel Cinematic Universe. And I tell you that you are Tony, and on this rock I will build my franchise, and the gates of DC will not overcome it. After more then a decade Iron Man remains one of the best the Marvel has ever given us and they know it, which is why they basically carbon copied it twice. Staring the best blend of actor and character ever, with a compelling story of redemption, and enough charm to win even the coldest over. Iron Mans place circling the top of the Marvel Cinematic Universe remains secure. It is an open question that if Iron Man was not as good as it was would we even have an MCU today? As we have seen with Warners the first film provides a foundation and a poor foundation can doom the whole structure. Iron Man is rock solid and the whole MCU is better because of it. Nothing like The Avengers had been tried before and many in Hollywood questioned the logic of a franchise of franchises. However as we have seen nobody is questing it now The Avengers formula is golden and much like Iron Man being the template for the stand alone films. The Avengers is the marker every team up film has tried to reach and they all have failed. I do not think I need to list The Avengers strengths, they are self evident and has been discussed to death. The films flaws are so small to really bring them up would be nitpicking quite frankly. The Avengers is the ultimate super hero film bar none. If The Avengers is the ultimate super hero film how come it is not Number One on a ranking list of super hero films? It is because Captain America: Winter Soldier does what no other film in the franchise has done, it has surpassed the super hero genre. Winter Soldier is the undisputed best of the Marvel Cinematic Universe as its not only a great super hero film, it is a great film in general. By now it is clear I put a high premium on the ability to watch a film multiple times and remain engaged. I feel it to be the mark of a good film and The Winter Soldier remains watchable even after the many times I have seen it. It is hard to explain why I feel this film is so good beyond the fact it just is. Interestingly it appears Marvel Studios feels the same about the film as I do as increasingly the Russo Brothers are driving the ship. You’re reading TAY, Kotaku’s community-run blog. TAY is written by and for Kotaku readers like you. We write about games, art, culture and everything in between. Want to write with us? Check out our tutorial hereand join in. Follow us on Twitter@KoTAYku and Like Us on Facebook.